New special formula Ground Fog designed for low-lying fog machines. 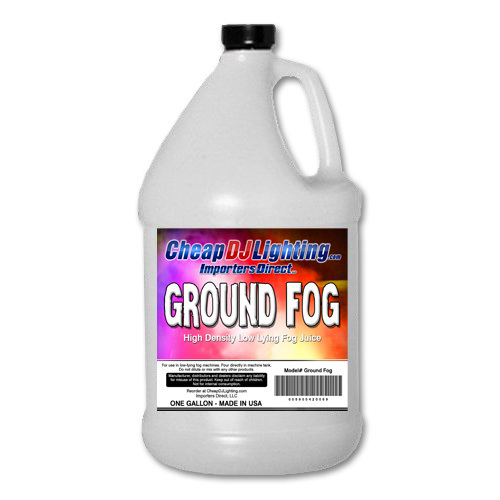 Ground Fog Juice is denser than our regular fog, so in a low-lying fog machine it will stay lower to the ground. This fog juice will last longer than standard fog juice. 1 US gallon.